Bollywood upcoming film 'Fanney Khan' which will reunite Aishwarya Rai and Anil Kapoor after a decade is leaving no stone unturned to be in headlines constantly. The makers of the film just released the look of Anil Kapoor, and the look reminds Hollywood superstar Goerge Clooney. The film recently started its shoot, and it was last week from actor Madhavan walked out of the film stating date issues. The makers want to release the film early next year, and B-town fans are eager to see the reunion of Aishwarya and Anil Kapoor on the big screen. Reports also state that Anil Kapoor will be playing an aspiring musician. Interestingly, the makers are still working on the looks of Aishwarya, and they will soon be releasing her looks. 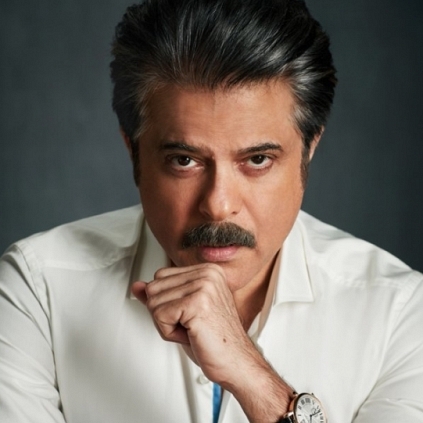 Bollywood star Anil Kapoor might file a case against actor Suriya's upcoming film 24 directed by Vikram Kumar and produced by his own 2D Entertainment. Anil feels that the film's logo and title design are very similar to a popular American series titled 24, for which, he holds the rights in India. Last year this American series was remade in Hindi and was aired in Colors TV. It has been running successfully since then and a new season of the same will be launching soon. "As we are from the same fraternity, I spoke to Suriya, before I take (any) strict legal action — as in send the notice. He said he would speak to his team and get back to me. What got me to take this step was the way the title of his film '24' looked and the logo which is very similar to our TV series, which has done one very successful season on Colors. It is something I thought I should protect as much as I can''. While Anil Kapoor also took this concern to 20th Century Fox International TV which holds the original trademark of the American series, Fox said that they will consult with their legal team and then get back on this case. Will the title be changed? What will Suriya's reaction to this be? Stay tuned! People looking for online information on Aishwarya rai, Anil Kapoor, Fanney Khan, Goerge Clooney will find this news story useful.